I Previously asked if the Romans could have built a steam engine to power a ship, which received a number of answers perhaps best summarised as “probably not but…”. Assuming the Romans couldn’t have come up with the idea on their own, suppose that they had discovered a working example of a simple steam engine, what then? (Preserved by a previous civilization or whatever out of scope hand waved reason). Assume they also had simple visual operating instructions. If a civilization finds an example of advanced technology, can they learn to duplicate the technology? The current technological state of the civilization. Call this "A." The technological difference between the civilization and the example. Call this "B." The earlier "A" is, the more likely the answer is "No." As "A" advances, "B" can grow wider and the answer can still be a "Yes." What is our year point of reference? The Romans were technological marvels, but most of their advancement was in structural engineering. Had your example technology been anything involving electricity my instant answer would have been "absolutely not." However, the Roman empire encompassed a large amount of time and a large amount of technological innovation. Just as my grandmother during her lifetime saw the horse-and-buggy and steam ships as the pinnacle of transportation technology give way to walking on the moon and air flight so common people don't dress up for it any more, the Romans shifted from their early years ("absolutely not") to 300ish AD when the answer becomes "possibly, maybe even probably." An important date is 1 AD. That's when Hero of Alexandria created the Aeolipile. The Aeolipile was, basically, the first steam turbine. At this point they may not have had the other technological know-how to build a fully functioning 1800s steam engine... but they would have played with it for a while and, maybe, would have concluded, "you know, that looks an awful lot like a really complicated Aeolipile." So far, I'm convinced that Romans from at least, say, 50 A.D. would have understood what they were looking at (after enough examination & experimentation) just as we have the ability to understand string theory without having the slightest idea how to prove it. That leaves the question, could they duplicate it? The components of a steam engine are improved with milling, but do not require milling. They can all be cast. The Romans knew how to do this, so they could build the shape of everything they need. That leaves metallurgical strength. And that's where the last point I can make comes into play. The ancient Romans knew how to figure things out. It would take time, because they're basically stuck with empirical research, but they could do it. Now the answer is "Yes, given enough time." How much time do you need between when they found the engine and when you need them to duplicate the engine? If the answer is found in 50 A.D., needed by 300 A.D., I'm willing to go out on a limb and say "Yes." If the answer is found in 50 A.D., needed by 100 A.D., it's "very unlikely." If the answer is found in 50 B.C., needed by anything less than 200 A.D., it's "probably no." If the answer is found before 50 B.C., the answer is "impossible." There's not enough technological understanding in the Roman Empire to be capable of comprehending what they're looking at and by the time the Aeliopile came into being the example would be deteriorated or lost. Some of the comments are wondering why the Romans would care to pursue steam engine technology. The OP hasn't told us the context of the future technology appearing in the past. If all that appeared was the engine, then it might be a hard sell unless someone was bright enough to think, "what if we hook this sucker up to a cart?" On the other hand, if what appeared was a working car... the Romans would be all over this technology considering the difficulties of their wide-spread empire. The real question is, what if it was a train engine? Something that needed tracks to be valuable? That's a whomping maybe because suddenly the infrastructure investment (laying rail) is enormous. However, none of that is relevant as the OP didn't ask about it. It's the OP's problem to solve. If he hasn't, it's another question and not a valid answer to this one. A number of commenters have expressed disbelief that reverse engineering can bring substantial value to the technological innovation process. Their premise is that the technologies didn't develop for a millennia or more on their own, which assumes they couldn't have developed in 200-300 years with a working example to experiment with or to motivate them. Such commenters have no experience with reverse engineering. I do. Knowing that something is possible and you only need to duplicate it is much, much, much more powerful than not knowing something is possible and waiting around for the combination of imagination and scientific development to merge. Some people like to think that innovation is somehow a fixed process, that it can't happen any faster than it did, but our own recent history in computer development has proven that wrong time and time again. You need not understand why something works to duplicate it. To conclude with an example, I wonder if some believe the specifications of an antique steam engine are as difficult to achieve as a 2017 combustion engine. Obviously, the metals and precision needed for a 2017 engine could not be duplicated by the romans during their time. But that isn't what was asked for. When I once read The Grapes of Wrath I noted a moment in the story when the family had to repair their engine. They'd lost compression, so they wrapped copper wire around the piston, shoved it back into the chamber, and off they went. I wondered about that and so asked my grandmother, who said things like that did, indeed, happen. That's an awful lot of imprecision to still have a working and useful engine. If you still want to believe the Romans couldn't reverse engineer something as simple as a steam engine (with operating documents!) under the conditions I've specified, by all means, downvote my answer. I won't feel bad. An early separate-condenser Watt engine? Copying it would have been either impossible or very very difficult; using it may have been possible. This type of engine is much more efficient than Newcomen's contraption, but it uses axles and bearings which may or may not be possible to make with late Greco-Roman technology. Anyway, this is the only type of engine which is both useful and not light-years beyond late Greco-Roman technology. At least they could understand what they couldn't make and work to find a solution. One of the most perfect mid-19th century Corliss engines, some of which are still operational in the early 21st century? No way could the late Antiquity copy it. They wouldn't even have had the ability to express the dimensions of the pieces accurately enough, much less to make the spherical valves. Not to mention that Corliss engines operate at pressures high enough to blow up any kind of sealed vessels that an artisan could dream of in Roman times. A middle-to-late 19th century locomotive engine? I hope they don't even try. Locomotive engines operate under tight space constraints, so that in order to achieve acceptable efficiency "ordinary" locomotive engines worked with pressures starting at 12 atm up to about 20 atm, while "high-pressure" locomotive engines reached about 100 atm. A late 19th century nautical triple-expansion engine, as used, for example, on Nansen's Fram? No way unless by magic. The physics and engineering in a late 19th century nautical steam engine are way beyond what was understandable by late Antiquity engineers. An early 20th century naval steam turbine engine? Not even with magic. Not in a way that would bring about the industrial revolution. Steam engines depended on advances in metallurgy beyond what the Romans had. Specifically steam engines require the consistent production of steel. While the Romans could produce steel it was time intensive and of inconsistent quality. The predictable failure of steel is important when you are constructing pressure vessels to contain high pressure steam. Technically they could have produced simple steam engines like the Newcomen Atmospheric Engine that operated at a maximum of 2 psi (0.14 bar) with a speed of 12 strokes per minute. This machine was revolutionary at pumping water out of mines but is not the steam engine people think of when they thing of the industrial age. Having a need for steel of consistent quality would probably lead to improved manufacturing techniques being discovered earlier than they otherwise would be but until those techniques are developed high pressure steam engines would be beyond the reach of the Romans. They would have been able to understand the working principle (fire evaporates water, water vapor moves wheels). Then they would have tried to copy the design. Not having steel, they would have tried using other metals they had available (copper, bronze, cast iron, etc). With trial and error they would have come to some decent imitation. Most of the innovation related points have been well covered in other answers. This includes the Aeolipyle. Other mechanical concepts of converting circular motion into linear (screw) also existed. Could the Romans have copied the steam engine? Yes! Would the Romans have copied the steam engine? Maybe! Could/Would the Romans have used the steam engine? NO! Technology isn't developed because it can be, it is developed because it must be. There are several forces at work here. Someone needs to fund the research and development. Someone needs to invest a lot of money and resources towards the critical initial growth of the technology. There needs to be sufficient scope for returns on investment. If the new technology is disruptive, then there will also be opposition from stakeholders in the existing technology that will be affected. If the new technology is extremely prolific and could affect the balance of political power, then politics will play a part as well. The OP has not specified a date/period so lets assume the Roman empire is already established. The Romans are spread thin and find it difficult to simultaneously control their entire empire with insurgency issues everywhere. Can the steam engine aid them in consolidating their empire? Or will the emergence of a steam engine ruin existing economy and consequently their grip on the empire? Even worse, the steam engine could well fall in the hands of rebellious entities in the empire and serve as force multiplier, which once again leads to the fall of the Roman empire. In view of potentially counter productive influence of steam engine technology, the Romans may choose not to build it. In the modern era, we have a similar situation with regards to alternative energy sources. The powerful transportation and energy lobby supporting conventional sources like gas and coal are opposing alternatives. Could we develop energy efficient solar cells, wind turbines, etc? Sure! But are we? Well, kinda, to the extent that it is being allowed to and not more. What will happen to the livelihoods of millions of workers directly and indirectly affected by the gas and coal industry? What will happen to their votes? Will availability of cheap energy alter the balance of geo-political power? An entirely different point is that of technology innovation date. Damascus steel existed centuries ago, but last I checked, we can still not replicate it. This brings to light the point of challenge in fabrication and know-how about the fabrication process. Will it may not apply specifically to steam engine (too simple), it is conceptually possible that humans couple of thousand years from now (working with nano-tubes, micro-robots and quantum computers), may not be able to copy a steam engine! and even if they somehow managed to do so, will not use it for sure! It's extremely common in the modern market for someone to come up with a new exciting product that opens up a whole new field (iPod, iPhone, Ford's Model T, IBM PCs, and so on) to be copied in short order. Competitors will quickly acquire copies of the invention then tweak it to make it their own. This process of copying is so widespread that patents exist to give the inventor a little breathing room to make some money before facing strong competition. A significant portion of the time spent in the process of invention is finding all the things that don't work. Handing the inventive, industrious and power hungry Romans a working example of a small steam engine that can do real work would light off a firestorm of investment. I trust that they're smart enough to realize that a machine that can do real work without muscle, whip or feed is a huge improvement. I think most people assume that the Romans would immediately jump straight to the enormous steam engines of mid-1800s Europe involving cast steel parts with highly precise machined faces and surfaces. I disagee. Given that the example they have is small, they will likely build small, low precision examples at first. Due to the imprecision, these machines won't be efficient. They won't have the theory to drive the math to get higher efficiency, at least not to start. A major limitation they will have is in materials, specifically their metals. While the Romans did work in iron, the ability required to achieve high quality steel at high speed, minimal cost and in large quantity wouldn't happen till the invention of the Bessemer Process in 1855. (High quality was available before Bessemer but not cheaply or quickly. ) The Romans would have to use copper or bronze for their pressure vessels, limiting the pressures achievable. While not ideal, it just means their steam engines won't be as efficient as machines made from steel. Higher pressures might be achievable with thicker pressure vessel walls with the added cost in materials and increased difficulty in manufacture. They'll need to invent new means of measuring distance and diameter in order to get high precision. A classic failing of the Roman numeric representation is the difficulty in doing multiplication. Inventing a new numerical system capable of zero and multiplication may be a bit much to ask. Just like in the 1800s, steam engines will start with large static installations. As precision and materials improves, the steam engines can be made lighter and more mobile. Fitting them to ships, who naturally have huge capacity already, will be a natural choice. Smaller engines fitted to carts might be the early tractors. Not only will this steam engine give them a leg-up on the development of steam power but also screws, bolts and nuts. The invention of these fasteners will go on to revolutionize many other areas of Roman life. Answer is, as most often is the case with "what if" questions, complicated. But in short it can be said: no problem understanding the theory, Replicating the machinery is a different matter. Simple steam engine was known in 1st Century AD - look up aeolipyle - and Romans had excellent understanding of parts of hydrodynamics - dams, pipes, aqueducts, pumps. So they would have no problems grasping the concept. But building a working engine requires more than just knowledge. I would say that it's possible to build very simple steam engine using Roman tech, but it would be very heavy and unreliable. As sphennings points out it requires high quality of metal alloy and a degree of precision manufacture not available to Roman tech base. I believe they would quickly found out that and after maybe several decades (on the fast end) to maybe a century at least (on the slow end) to be able to produce stable output. But the issue is not the tech, but the culture. Romans were uninterested in such things simply because they had enormous excess of power (slavery). Steam engine gained in popularity after it became light and small enough to build locomotive, for example, thus Romans would not have any use for their version. You would have to put this "discovery" in proper context (warship, i.e. ironclad maybe?). Industrial revolution in England began as a attempt to address the labor shortage that plagued (no pun intended) the Europe since.. well, the plague. Add wars (most notably the 100-years war, 30 Years War and 1000 Years Muslim Invasion) and the labor shortages are a fact of life until end of 19th century. In fact, the wars were mainly why the Europe was so poor for so long, as they sucked away lives needed to improve livelihood across the continent. What Roman need would a steam engine address? Most of the Roman trade is water-borne. Mediterranean is rather small sea, there is no economic nor political reason to invest huge capital to shorten the travel times by half - it sounds impressive until you realize that it means 3 days from Alexandria to rome instead of 7 or so (admit, I'm guessing here), and there are huge grain ships plying this route already. Sail ships, cheapest possible type. Rome-Londinium route? Again - current tech is enough and speed is not economically explainable. Raw materials needed to equip Roman legions and address needs of the population are there in sufficient numbers... The only way to improve average roman life is to increase supply of raw materials, but there is no way to do it. Last thing - for widespread use of steam engine supply of coal is needed. Wood is not good source of fuel. As always, there a lot of commenters who have no idea how primitive first steam engines were. They demand bearings - but even first steam locomotives in 1830's used oiled rags for reducing friction. They demand steel - steel was not widely used before invention of Bessemer process and by that time there were ocean going steamships and extensive railways. They demand high pressure steam - but ocean going steamships like Great Eastern used only 5 psi. Some other points for simplicity I mentioned here. To copy Newcomen age steam engine would be useless - river going steamboats of the beginning 19th century had boiler that weighted up to 1/6-1/4 of displacement, and Newcomen engine would require up to 5 times more steam. They would be unable to copy second half of 19th century engine - metal piston rings, steam injector, etc. Ideally Romans would get Newcomen engine with pickle pot condenser. That is almost as efficient as Watts engine, but as simple as steam engine would get(pickle pot doesn't need vacuum pump). Still, the lack of theory would impede them greatly. For example, they did not know square–cube law so they would not be able to scale their copy well. But I suppose a Roman engineer well above average could do it. Most answers speak of the difficulty in making working engines due to the limits of materials technology. What is perhaps more important is the understanding of how the engine is to be used. Since the Romans would be unlikely to replicate a high efficiency steam engine, what would remain would be a rather low efficiency static engine. This would still be useful for many purposes, and the Romans also understood such mechanisms as the crank and what we would recognize today as clockwork, so being able to tap the power of the engine would not be beyond them either. The true breakthrough would be to understand that the engine could be used to power more than one device, or to power a device over a prolonged period of time. I recall seeing a show which suggested the Romans used a water powered saw to cut stone at one quarry, with a waterwheel powering a crank which moved a reciprocating bronze saw. The evidence was a bit sketchy, but there was what appeared to be a flue for the waterway, and marks on some stones left in the quarry which could be interpreted as being from very precise and regular saw strokes. A stationary engine would allow any quarry operator to dress stone, not just the ones who happened to be near a flowing stream of water. If the number of slaves lugging wood for the engine were fewer than the number of slaves needs to cut the same amount of stone as a steam engine, then it is a net gain for the quarry owner. Another place where steam engines would make a huge difference would be textiles. 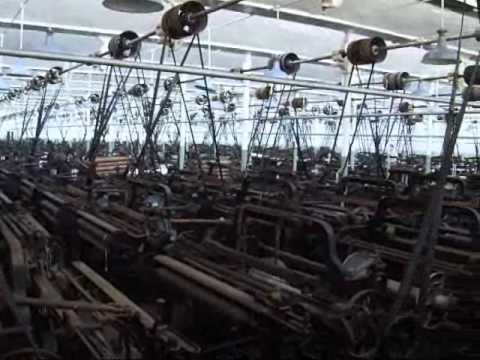 A single steam engine can have its power transmitted to a multitude of looms or spinning machines, needing a far smaller number of slaves to radically increase the output of the Roman textile industry. All Romans could wear high quality cloth clothing, and Roman textiles could follow existing Roman trade routes (the Romans have left evidence of trade in India, for example) to dramatically increase the wealth of the Roman Empire. Massive increases in wealth due to trade would have many secondary and tertiary effects on the Roman economy and even Roman society (for example, the extreme divisions between the landless Plebes and landholder Optimates might have been bridged by a much larger "middle class" of merchants and traders dealing in mechanically produced products, and the skilled tradespeople needed to keep the machinery running. So even low power and low efficiency steam engines could make a huge difference in the Roman Empire. The real issue isn't in making the engines (it is clear they could do so, since they already had low power atmospheric engines), but rather recognizing the uses they could be put to, and most especially being able to recognize that powered machinery could displace a very large number of slaves yet create even more output (and thus wealth). As a related example, human slavery own Europe seems to have been ended with the introduction of the horse collar. A horse without a collar can pull a light cart with the same efficiency as 10 slaves, but eats as much as 10 slaves. 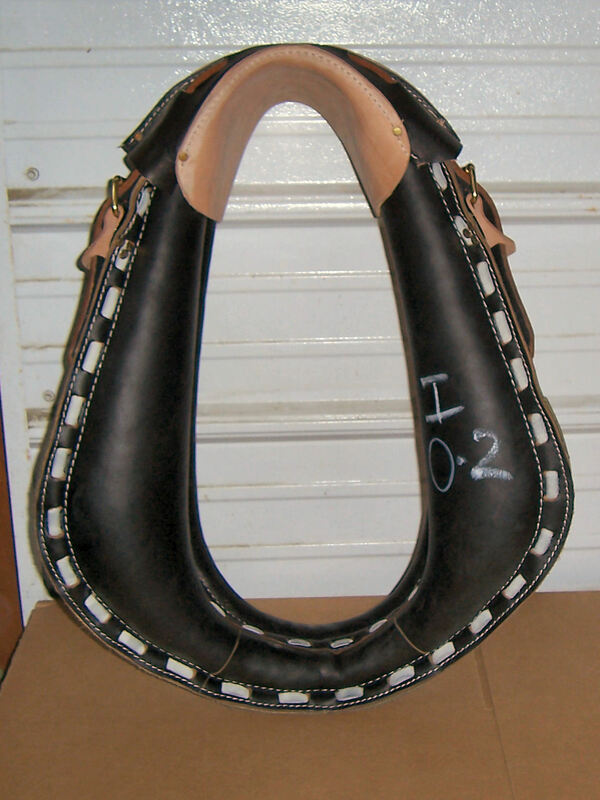 A horse with a collar can pull much heavier carts, but still only eats as much as 10 slaves. Owning horses becomes much more profitable at that point. You can build a reliable engine with the alloys that the Romans could produce consistently, Bronze or Brass, and heavy castings but it will be more fuel intensive than is comfortable. The main problem with reproducing the beast will be in the fineness of measurements, getting a tight enough seal tolerance to not just spray steam from every seam. With a lot of patience, unlimited semiskilled labour and nigh limitless money you could hand grind the components to a fine enough fit but the expense would be staggering. That's the version where they have something to go with their steam engine to go off, like an actual blueprint, building a blueprint that was sufficiently detailed given roman era measuring equipment, no, just no. Honestly I'd expect that your Romans would actually blow up enough boilers trying to get the casting right to give it away as a bad joke, especially if they tried to match the materials, looks like Iron must be Iron... boom, rinse and repeat until they give it up. The original application of steam engines wasn't for transport or even for industry, it was as pumping engines. Steam engines are uniquely good for pumping. From there, they went into industry, and only a long time later became practical for transport. Industry did not start with steam engines. The Industrial Revolution was originally powered by water, for textile production amongst other things. This established the need for well-toleranced construction of machinery - bearings, drive belts, gearing, lubrication feeds, and all the features which you would expect in modern machinery. These modern production techniques enabled the construction of progressively better steam engines. The great advantage of steam engines was simply that factories no longer needed to be sited next to rivers with a good head of water - in every other respect they simply picked up the existing water-powered industrial infrastructure. Britain led the Industrial Revolution by being in the fortunate position of having plenty of money for investment (thanks to the slave trade), plenty of sites suitable for water power to start the industrialisation process, and then plenty of coal to power steam engines. It's interesting to compare the British Industrial Revolution with Roman technology. Romans were profoundly skilled at water transportation, and this was not just used for drinking water but also for heavy industry, and even water organs which required precision construction. Like the British in the 18th century, there was no immediate need for them to move to using steam engines, because their need for industrial power was already being met by water. They clearly could have developed steam power, because all the technological requirements for the British Industrial Revolution were already there. What they lacked was a strong reason to do it. The Romans started mining in Britain and it continued from then, so by the 18th century miners needed pumps to drain water from ever-deeper mines. Without that need, the Romans would not have carried out the necessary development work to build a steam engine. And without the initial work on pumping applications, the work to turn it into a practical power source for industry would never have started. They almost certainly could not have worked with high-pressure steam, of course, because that requires higher levels of precision and metallurgy. But then again neither could 18th-century engineers like Newcomen, because all these technologies are mutual enablers and require advances in one to either stimulate or permit advances in another. Socially, the Romans also lacked a strong reason to move beyond piecework for cloth production and other similar work. Heavy industry like mining clearly benefits from industrial power sources to conveniently move things which are impractical for humans or draught animals. However the British Industrial Revolution was primarily driven by cloth production, and this involved mass-producing something which people were paid to do at home on a piecework basis. If you do not need to pay your workers - if you have a pool of slaves - then the economics of production are quite different. Of course you still need to feed them, so it still makes sense to use as few slaves as possible and make your processes efficient, but you do not have such a strong reason to invest in new technology. In fact, we know of Hero of Alexandria's steam engine, so we know the Romans knew of the concept. What we also know is that they did not develop it further - and I've tried to give some reasons why that might be. So if they were shown another example of a steam engine, it seems likely that they would similarly say "that's interesting, but what can it do for me?" and keep going with water power and slave labour. The Romans had the Ctesibius pump which was a Greek invention. They improved it and gave it vertical stem type check valves. Not only that they had some degree of standardization for their plumbing systems which hints at the beginning of mass production. They had good quality modern looking bronze plug valves and decent lead pipes which were also standardized. In 97AD Sextus Julius Frontinus the Roman water commissioner wrote De Aquis Urbin Romae which described 15 standardized pipe sizes used throughout the empire. Plumbing found in Pompei suggests a high degree of quality control. All of leads me to think the Romans were a hairbreadth from developing steam power. A close look at the Ctesibius pump makes me think that if some relatively minor modifications were made and if it were placed on the boiler platform used by Heron to run his aeoliphile they could have had a workable Neucomen Atmospheric Steam Engine. So what might they use it on? Well perhaps nothing in Rome. But how about Lugdunum (modern day Lyons, France) a bristling prosperous commercial center on the Rhone-Saone River Network? That's where Marquis Claude de Jouffroy tested his Neucomen engine powered steamboat Pyroscaphe in 1783. How would that affect river commerce in the empire? Problem in copying any XVIII+ technology is not in understanding the principles of the working; Romans and Magna Graecia "Philosophers" would understand it quite readily. Problem would be the required materials, which were simply unavailable at the time. Medieval Alchemists, while searching (in vain) for "Philosophical Stone", accumulated a enormous amount of knowledge about metallurgical processes which were used in the following ages. No way earlier smiths could have produced steel and other materials of sufficient quality to be used in efficient steam engines. Whilst undoubtably a handicap it is not clear exacly which part of a steam engine woud need milling as an absolute requirement. No scientists, tools, techniques and support system engineers. Or the wrong social and economic climate. But they did have engineers, experienced metal workers, architects and thinkers and a basic steam engine is not that complex. This is a fair point but the severity of the issue is debatable, especially if time is allowed for development. The need for steel is demonstrably false, bronze and copper will do fine although thicker castings and more fuel will be needed as these are less efficient and dissipate heat more. While the Romans could produce steel it was time intensive and of inconsistent quality – similar to 1800's Europeans. The very first steam engines used little iron. And later ones used iron not steel. Although steel was eventualy used. The fact that the steam engine took a millennia to develop in our time line makes the assumption that the Romans did not have a working model of a steam engine. So is not a good argument as this is a false assumption in this scenario. (wind mills, donkeys and sails etc) There is merit in this argument, although it is not decisive. The existing technology merely gives the steam engine a smaller advantage; they do not remove the advantage. Entrepreneurs would also be needed as well as inventors and engineers. Steam engines require a lot of fuel probably coal – no coal near Rome – so they would have no fuel Wood was readily available in Roman times. The steam engine might blow up if mishandled, or it might be damaged during disassembly or get lost or hidden by someone before it was noticed and there is only one example of it. Fair points, although again not show stoppers. The story would have to ensure it fell into the right hands with a little luck. Open question, I’m not sure about this and can find no definitive proof. But I suspect that it should not have been beyond Roman capability either by rolling a flat sheet of copper around a solid rod and sealing it with lead (or heat) or by direct casting of short lengths of pipe, especially considering the relatively low pressure requirements. Reverse engineering brings substantial value to technical innovation process. Knowing that something is possible and trying to duplicate it is much more powerful than waiting for imagination to generate it. You don’t need to understand how it works to duplicate it. If the Romans had discovered a fully working example of a steam engine and it had fallen into the right hands they may have been able to copy it (or a modified version of it using some different materials). With sufficient time to develop it they should have been able to produce examples of practical working steam engines. It is less clear how long it would have taken for this new technology to become really useful. The disadvantages would have been the constant need for fuel, the relatively low pressure and power, unreliability and the availability of less efficient but plentiful alternatives such as slave labour, beasts of burden, sails, wind and water power. For my story the Roman steam engine is a good fit. It certainly should suspend disbelief and is verging on credible as described. To make the situation even more believable additional changes could be introduced based on the responses to this question (and beyond its scope). Such as: more than one example being found, specific additional technologies being found, higher costs to slave labour and a greater need for the power. We are talking 1700's. Hopefully a primitive version of Watt’s steam engine or perhaps a Newcomen engine with a pickle boiler. But other options considered. What is the context of the steam engine? Was it a static pump, locomotive engine with wheels, ship with engine or a demonstration model with flywheel that was found? Assuming that a Roman steam engine had to be invented in resource poor Rome is like assuming the Wright Brothers had to invent the airplane in Washington DC. I mentioned Lugdunum (Lyon, France) as a likely place for a steam engine development. Not only was it a thriving commercial center but it had ample resources. Coal and Iron deposits were nearby as well as copper, lead and zinc from the Chessey mining area approximately 15 miles northwest of the city. As far as exploding boilers that only became a problem when engineers started going to high (50 psi) pressure steam engines. The Clermont and other steam driven ships of the time did quite well with much lower pressure boilers deriving most of their power from the force of vacuum condensation. You may get scalding from a steam leak but these things weren't going to blow up. Not the answer you're looking for? 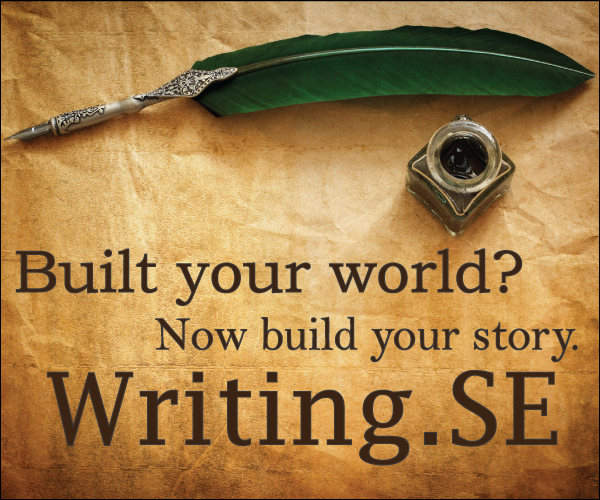 Browse other questions tagged reality-check alternate-history ancient-history steampunk or ask your own question. How long would it take a primitive civilization to fill the shoes of an advanced one? What would the British have done in Argentina and the surrounding area if they had been victorious in Buenos Aires in 1807? What would have the impact been on WWII had Germany had a more sizable U-Boat fleet at the start? If Al Gore had won the 2000 U.S. presidential election, who would have been the Republican nominee in 2004? If the Romans made the 1712 Steam Engine, what would they create using it and why? How much can you tow with a steam vehicle and still have the ability to turn?